I’m gonna be very honest I never quite understood the way Rooney classifies the brushes therefore every time it comes about Rooney I’m literally lost. 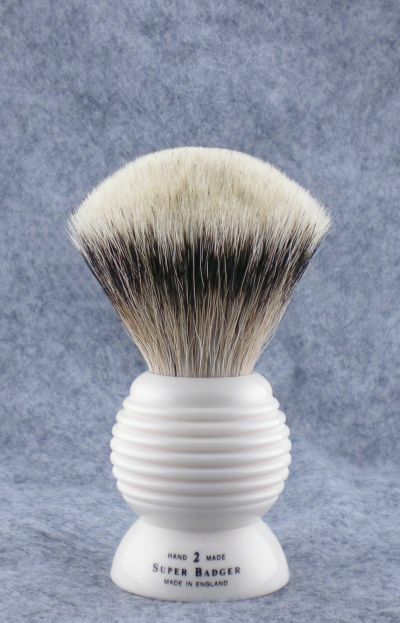 Although this particular brush lather beautifully, very soft tips and bloom like no other brush in my den. Share your opinions please thank you. Seems to be that Heritage 3 band hair that everyone raves about. I'm lost myself on Rooneys. I'll be interested in seeing what the expert say. This is a later release , NOS is accurate in terms of 3-5 years old , the three band heritage that people refer to is from another time period. Three rings are a easy indicator that that the brush is not a heritage three band , these three rings showed up much later down the road. The 3-ring Rooney's with 3 band hair are from the more recent batches. Not the very old "original" Heritage release. I suppose you could call them NOS because even these may be out of production. 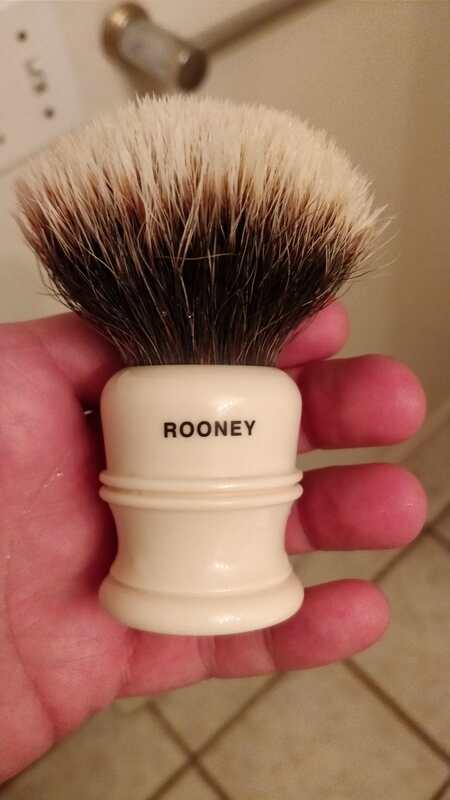 I'm not sure if any Rooney brushes are still being made. Gotcha so they’re the rings the ones that determine the age and/or batch. How about the Beehive then? Multiple rings. Or are all Beehives 'Heritage'? The beehives are a bit more tricky , I don’t want to sound cocky or like a know it all , but I can just look at a knot and the rod material and think back to when it was released. The original three band heritage knots have a distinct look to them and it jumps out at me so to speak. Yep, that's what I'm chasing. Love it! What can you tell me about this one?? (12-09-2018, 04:27 PM)ultra~nova Wrote: The beehives are a bit more tricky , I don’t want to sound cocky or like a know it all , but I can just look at a knot and the rod material and think back to when it was released. The original three band heritage knots have a distinct look to them and it jumps out at me so to speak. Here is my Beehive. Last of the three shows it in bloom. This brush has a LOT of backbone, but the tips are soft as. I'd like to see a non-Heritage Beehive if anyone has one? Is there such a thing? Matador, I would guess you have a newer model rather than an older one. Have you had any issues with shedding during break-in or after consistent use? (12-09-2018, 11:14 PM)zaclikestoshave Wrote: Matador, I would guess you have a newer model rather than an older one. Have you had any issues with shedding during break-in or after consistent use? I agree , thinking back I’m not quite sure when the beehives started showing up , they may have come after the days of three band heritage. Closer to 2010-2012 perhaps? I’m guessing. But certainly this knot appears to be of the newer three band hair Rooney offered. I’ve been using this brush for the last two months at least twice a week and haven’t shed a single hair. 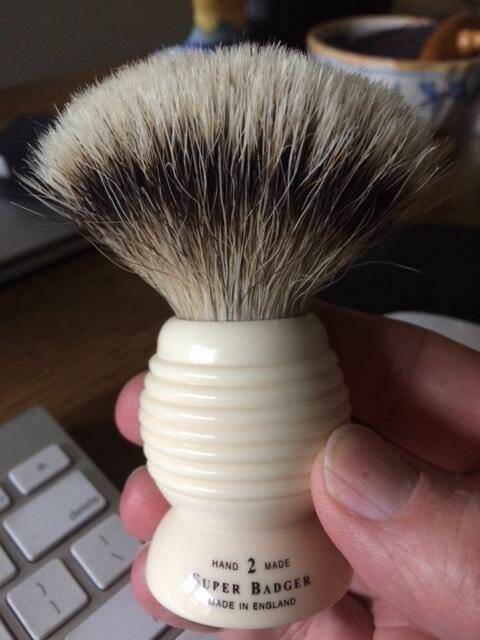 One thing I can tell with certain is that the brush is very well made. However when I compared my Lee Sabini brush with this one it’s like night and day, not saying that one is better than the other but very different specimens. I haven't been able to find any example of a smaller Rooney Beehive that doesn't pre-date the Sabini-era (there were earlier Rooney Beehives); however, it sounds like there must have been one. It's hard to tell from photos, but the material used to make the Beehive above looks to me like what we call "Somerset", which was originally supplied to Simpson on a bespoken basis before production moved to the Isle of Man, then to Rooney through 2012. The engineer responsible for producing Rooney Heritage handles (and who turned them on CNC lathes in his own, independent shop) retired not long after the M&F Chief Group Buy on B&B in 2013. We were able to pick up Somerset because Rooney abandoned it. I don't have a Rooney-labeled brush that was produced after 2012, so I've never done an in-hand comparison, but I'd guess the material is distinguishable. None of this should taken as determinative of when (which can have implications with regard to where, by whom, how, and/or using what) a particular brush was made. It's just piecing together clues and weighing probabilities. 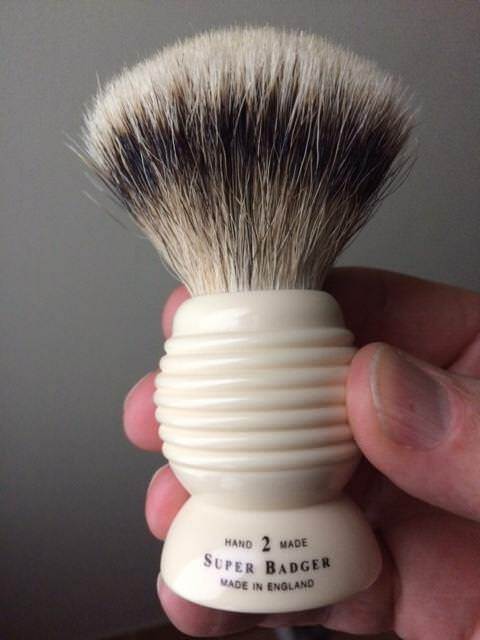 I'm pretty sure Lee had (or had access to) some Heritage-style Rooney handles after they ceased to be produced by their original maker in England, and I believe Lee sometimes had (or had access to) hair (or knots) from older orders after it ceased to be used in regular production of Rooney brushes. So, there are undoubtedly outliers. But I think he had pretty much gone through the old-stock handles by the time he asked if we could turn handles for him in mid-2014. And I'm quite sure whatever hair there was from prior to around mid-2013 had been used before the TSN LE brushes were knotted in June 2015. As for 3-band Heritage hair, I suspect it was mostly or all gone by the end of 2012, if not earlier. That's why the Classic Shaving NOS Rooney sales were such a big deal. And that's how the "NOS Rooney" descriptor acquired special significance. IMO, that significance does not attach to Rooney-labeled brushes produced after sometime in 2012. And it's most highly significant with reference to brushes set with knots made of hair sourced prior to 2012 (especially the Old Rooney Finest 2-band hair and the super-dense, super-soft Heritage 3-band knots). I’m afaid I’m still lost as regards the Beehive I posted pictures of above. I like the brush anyway, but I think I am right in assuming it’s pre-2012? Heritage? I’d love to see a different Rooney three-band Beehive 2, if anyone has one, just for comparison, not for verification. I have the box that mine came with. I’ll post a picture of the label if it helps. (12-10-2018, 01:38 PM)Shaun Wrote: I’m afaid I’m still lost as regards the Beehive I posted pictures of above. I like the brush anyway, but I think I am right in assuming it’s pre-2012? Heritage? I’d love to see a different Rooney three-band Beehive 2, if anyone has one, just for comparison, not for verification. I have the box that mine came with. I’ll post a picture of the label if it helps. There were, in fact, Rooney Beehives going back to at least November 2008, and probably earlier, although I can't find any mention or image of one prior to 2008. The number of rings on modern-era (i.e., not Butterscotch) Rooney Beehive aren't an indicator of whether or not the handle was turned by the engineer, on the lathes, and controlled by the G-code based on the CAD drawings used for the "Golden-era" Heritage Rooneys (i.e., made from the time when Lee Sabini became involved up through sometime in 2011-2012 and possibly into early 2013). The color of material (i.e., whether it was the so-called "Somerset" stock) might be a good indicator, as could a very careful comparison of a pre-2013 handle to one made after 2012, since different programs and machines would have been used. But all of that goes to trying to figure out when, where, by whom, and using what the brush was most likely made. If you like the brush, you like the brush. 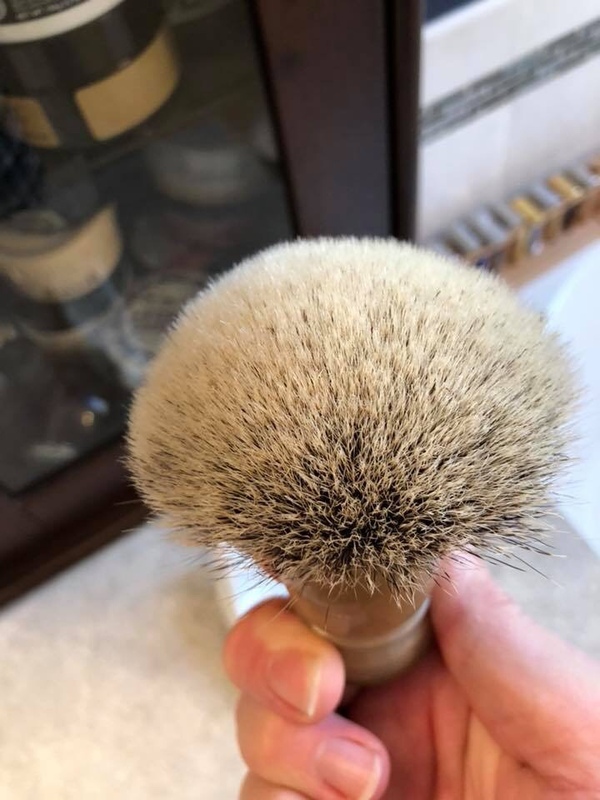 Its knot doesn't appear to me to have the super-density of the 3-band Heritage brushes that I last saw sold as NOS in the 2012 Classic Shaving sales. But that doesn't mean it's not a great brush. 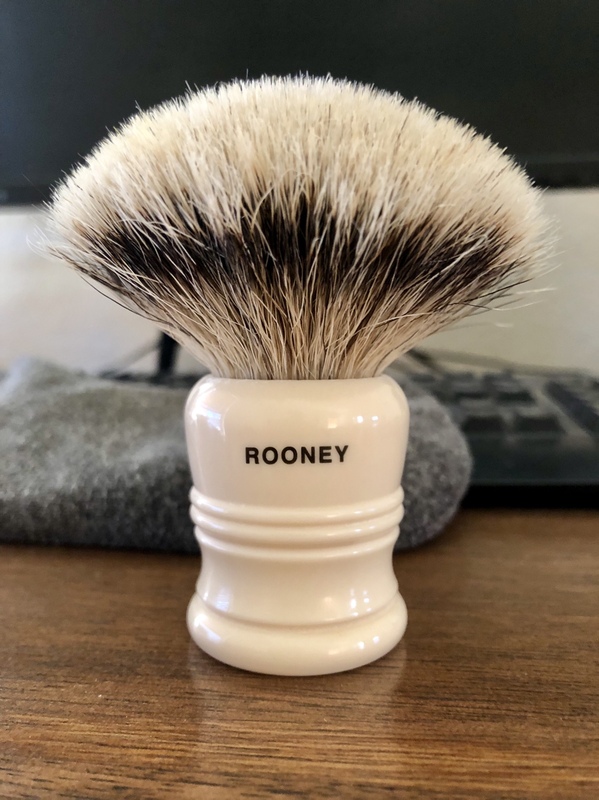 I own a few of those Classic Shaving NOS Heritage 3-band Rooneys, and they're marvelous (as in I still marvel over them), but I hardly ever use them. They're just too much for me. 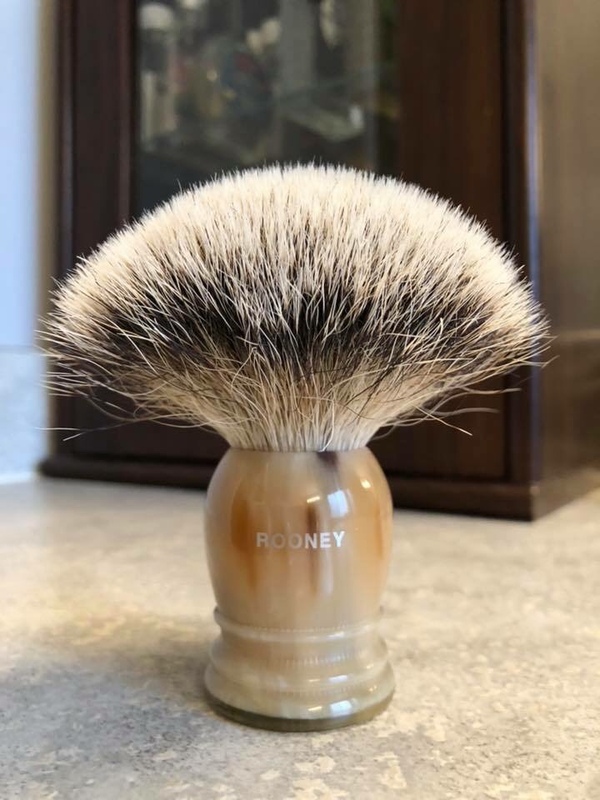 This is a new line of shaving brushes from R.A. Rooney that recalls the company's earlier days. All brushes in this line are completely handmade from the finest materials available to the brush maker today. The lathe turned handles are of an Imitation Bone material that is intended to "age" with use, as would a natural bone handle. The designs chosen for the handles are much like early Rooney brushes and others found in factory archives. 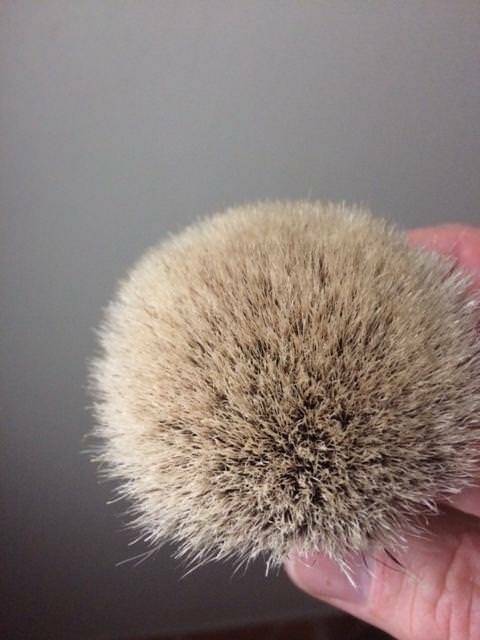 The badger hair used for all Heritage brushes is a special grade of Rooney's popular Super Silvertip or "Super". 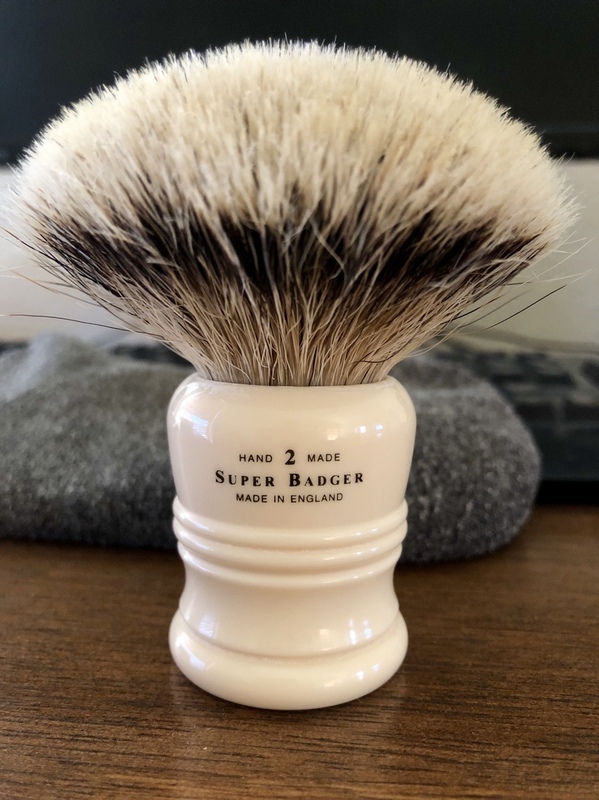 While the brushes are indeed stamped "Super Badger", the quality of the hair truly deserves a special designation of its own. 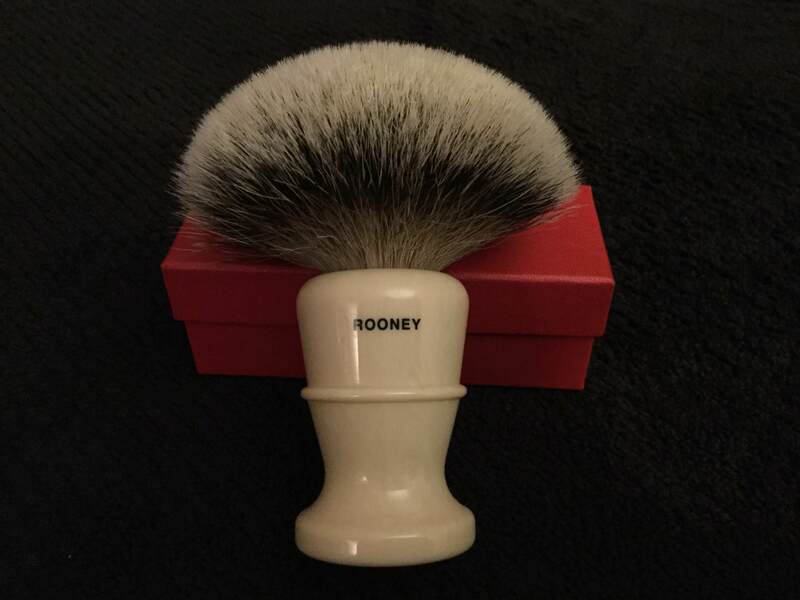 It is intended to duplicate in both look and feel the badger hair that was found in the older Rooney brushes of the first half of the 20th Century, what has come to be known as "traditional British badger". I also found references to a Beehive in the Heritage line in 2007. It appears that there were two sizes. The standard size was introduced in 2007 and a larger one in 2008. Attached is a photo of the large Beehive dated November 2008. Its knot looks a lot like Shaun's to me. It's impossible to judge with certainly, but the handle material looks whiter than Somerset, which makes sense. I'd guess Somerset hadn't become available yet as a result of abandonment by Simpsons in the late Carter era. I think Shaun's Beehive has a Somerset handle, but again I can't tell for sure.